Gesin 1-1-25546-21: Buy Tamaris Boots online! 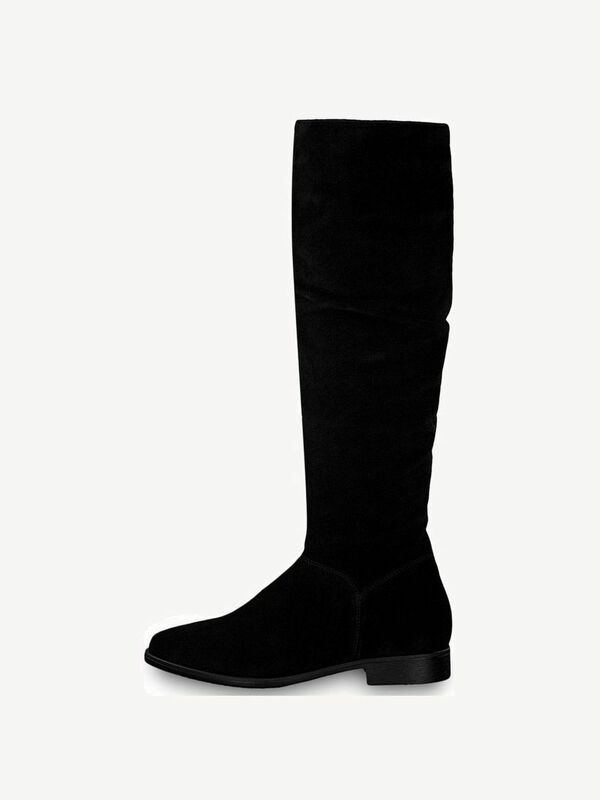 These stylish boots are perfect for trend-conscious women who like to be practical and to keep it simple. The shoe comes in muted colors with a rounded toe and flowing transition to the heel. The beautiful surface owes this shapely shoe the high-quality material leather. The easy-care and classic material guarantees highest wearing comfort with optimal fit. This model is ideal for elegant combinations with simple business dresses or knee-length skirts and keeps every foot warm and dry.